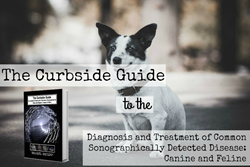 The Curbside Guide: An essential guide for everything small animal medicine and ultrasound. SonoPath.com announces the release of it's newest book: The Curbside Guide. It's a pragmatic internal medicine manual that melds the medicine with sonogram, focusing on diseases that are commonly diagnosed with ultrasound during an internal medicine work up in small animals. 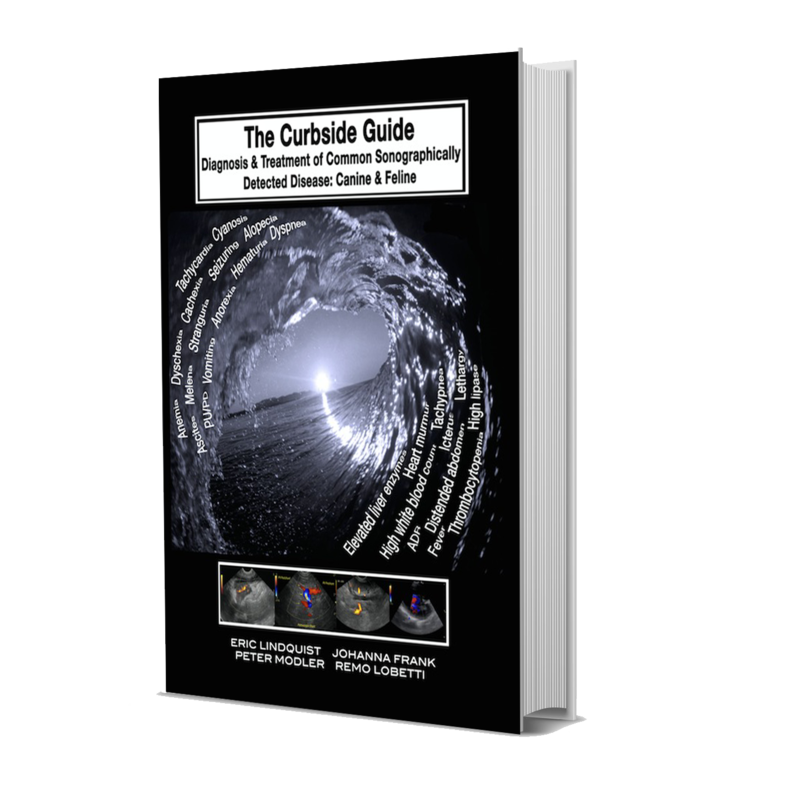 The Curbside Guide is an easy-to-read reference guide, tailored to general practitioners, sonographers, residents and specialists alike. The book comprises an exhaustive resource that can be rapidly accessed in between exams, phone calls and procedures - resulting in improved quality and pace of the practitioner’s daily workflow. The manual provides experience-based guidelines by means of medical and sonographic reasoning to avoid misinterpretation of the case and to stimulate objectivity. What originated as study notes and guides for author Dr. Eric Lindquist's 2003 ABVP exam, is now an updated compilation of material through 2015. It's a comprehensive, well documented reference manual collaboration between Lindquist, Johanna Frank, Remo Lobetti & Peter Modler. “The Curbside Guide is an essential practical guide to managing patients affected by pathology identified by clinical signs and ultrasound. Ultrasounds are not just about an image or a clip. The information obtained in combination with examination, radiographs and ultrasound is concisely and effectively presented as well as treatment anecdotes and research based recommendations. The Curbside Guide sets itself in the top books to have at an arm's length in your clinic.” Dr. Anne Chauvet, Critical Care and Veterinary Specialists, Sarasota, FL. SonoPath.com is a support mechanism and research organization that offers virtual and hard copy aid to veterinarians, presenting the historical events of cases from the moment of patient presentation to the clinical outcome, showcasing the sonographic perspectives that were found along the way. SonoPath.com offers a clinical and pathology search engine based on a huge and growing archive of cases, an active community/specialist forum, extensive virtual instructional resources, on-site continuing education/wet lab events, mobile ultrasound and telemedicine services. Curbside Press Release Curbside Cover The Curbside GuideAn essential guide for everything small animal medicine and ultrasound.